KK Kozuv won a hard fought game from Round 5 of Macedonian league. 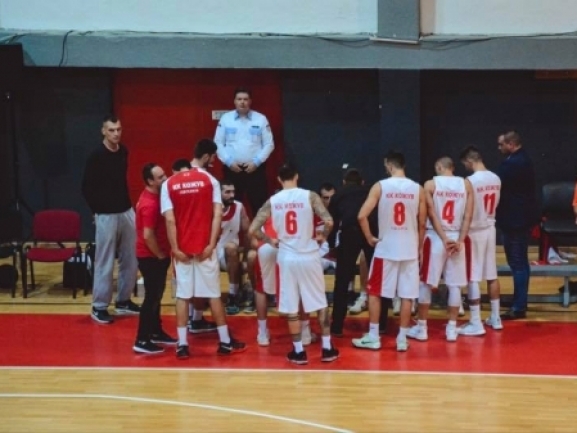 The Gevgelija team hosted KK Kumanovo 2009 and took a 56-50 victory. The game was close from start to finish and really both sides fought very hard. The first quarter ended with a tie and the next three were won by Kozuv. With four minutes to play Apostolov hit a triple for the hosts to put them up by 8 points and they cruised on after that. Nikola Karakolev and Miladin Pekovic had 11 points apiece while the first one added also 9 rebounds and 3 assists. Ivan Miskovic also did well with 10 points. After five rounds Kozuv has 3 wins and 2 defeats and is tied for 4th place with Feni Industries and Kumanovo.